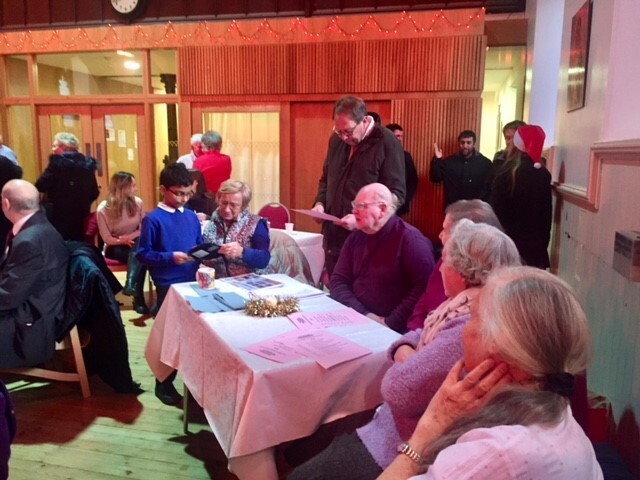 P5/4 enjoyed singing some Christmas songs at the Health All Round Christmas party in St Martin’s Community Resource Centre. 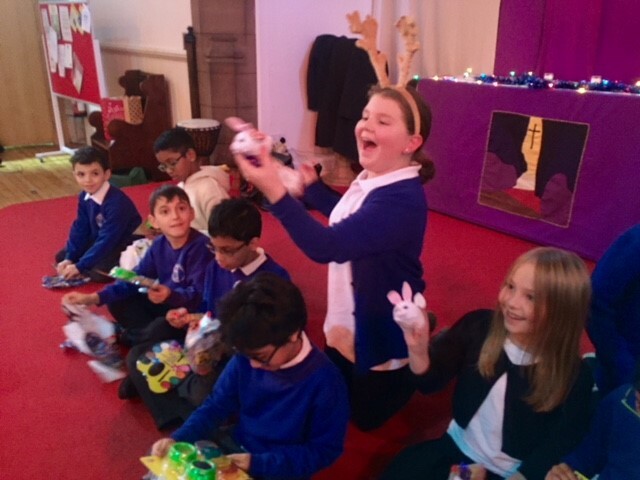 The children sang beautifully and were rewarded with a gift from Santa. 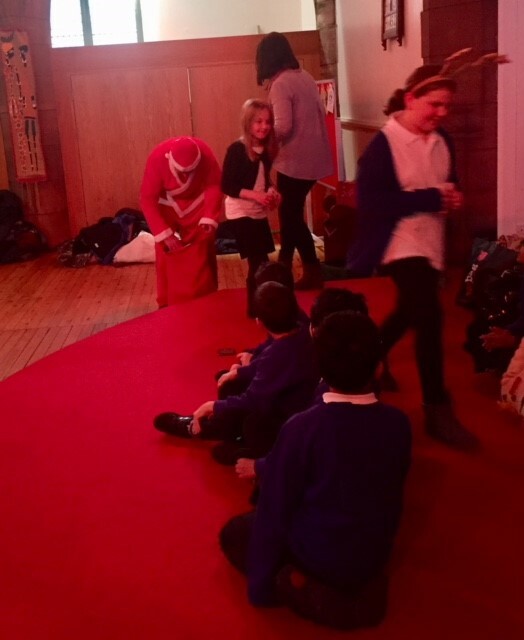 The children then spend some time chatting with the party guests, some of whom they had met at the Hallowe’en party earlier in the year. 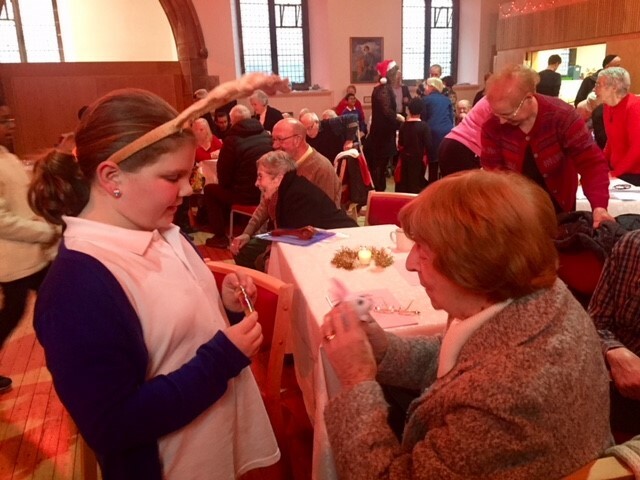 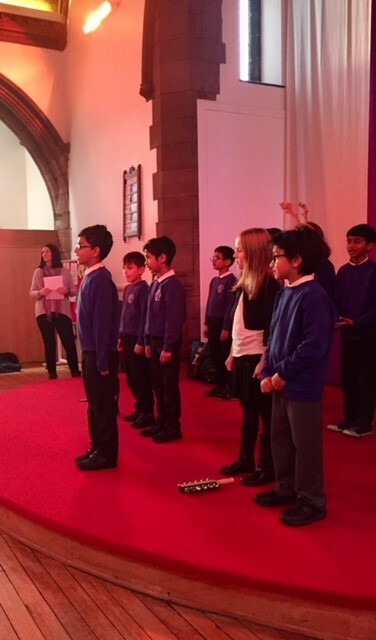 This entry was posted in Community Links, Events, News, Primary 5/4 on Dec 13, 2017 by Dalry Primary Edinburgh.